[image]https://[/image] I’m going to ck out a 59 Impala that’s for sale locally. It’s equipt with power windows, power seat, and power steering and painted in 2 tones. The tag doesn’t show anything on the ACC code. Trying to figure out if these options were factory or added after. Any help is appreciated! 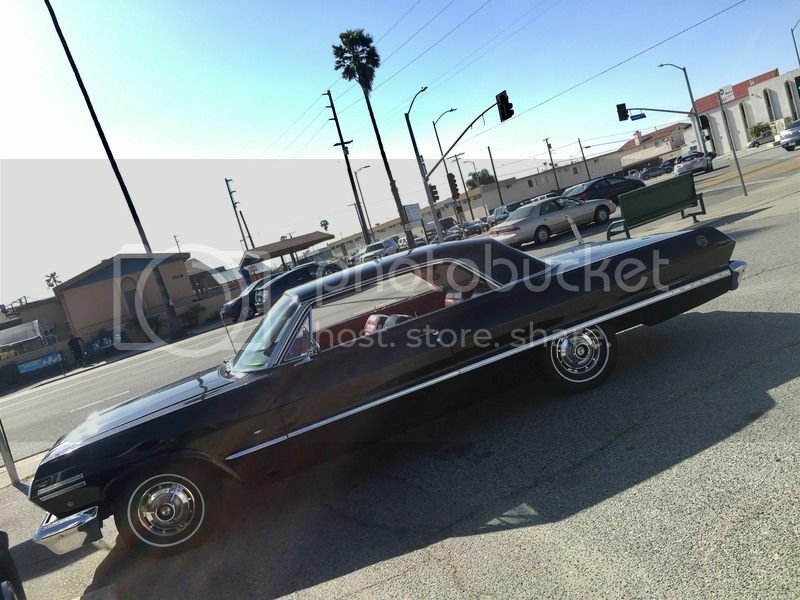 1963 Impala SS HT 283 2sp PG "numbers matching"
Edited by ERod63SS on 09-12-18 10:53 AM. Reason for edit: No reason given. - The original color of your car is: Cameo Coral/Satin Beige. Not sure what the “D” signifies on the color code. - Style 59-1837 is a V-8 2Dr Hard Top. Accessories a mystery, possible dealer options? Thats an awesome color combination especially with a gray interior. I've never seen that color combo. Edited by Los59 on 09-12-18 12:26 PM. Reason for edit: No reason given. Thanks for the info! It’s a start. Power windows and power seats and power steering were factory installed only in 1959. Usually body options like windows and seats had a code but not always. Gray interior was correct for that exterior color as no other avaiable interior color went with that exterior color. Edited by Gene_Schneider on 09-12-18 08:13 PM. Reason for edit: No reason given. Cool color combination. Post a picture of the car. Each color combo has it's own code number. The letter following indicates the series. But here's the weird part. It may be that certain factory's created their trim tags making their own variations. An example of this is my 1959 Bel Air 4 door sedan which was built in Oakland, CA. The car is now Cameo Coral and Satin Beige two tone. Originally it was Tuxedo Black and Snowcrest White. My paint code is 950 "F", not "E". Power windows and the power seat would have a code listed on the trim tag. The codes may also vary according to plant. 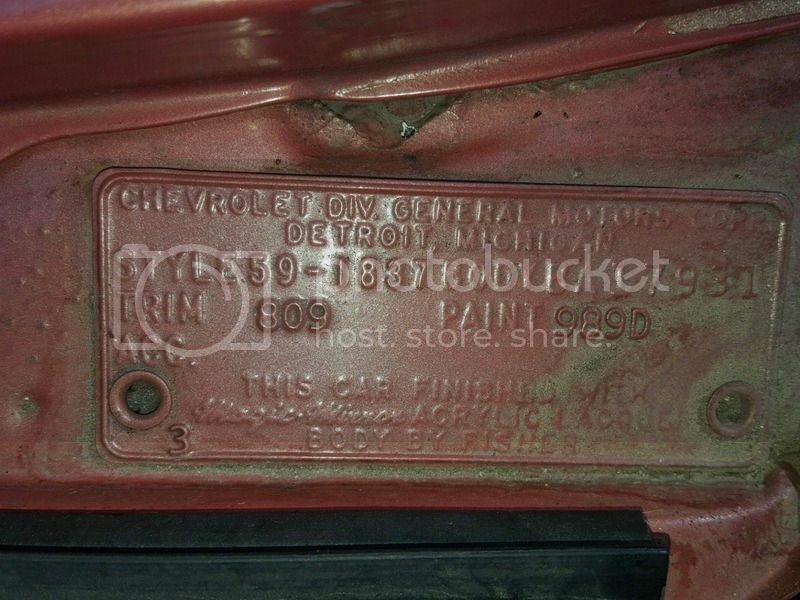 I go by the book "Chevy Cowl Tags"
The last two codes may be Corvette? Andy, thanks for the book reference. I believe Iv'e searched for something like this previously but never came across this publication. Execution time: 0.086 seconds. Total Queries: 13 Zlib Compression is on.